Journalist Michael Clifford was full of admiration for (recently arrested) Olympic Council of Ireland President Pat Hickey in yesterday’s Irish Examiner. The question Irish citizens have for establishment journalists like Clifford is: When are you going to address the rampant political corruption that has destroyed our country? Posted in Misc and tagged Michael Clifford, Pat Hickey, Rio at 3:55 pm on August 17, 2016 by Aaron McAllorum. The OCI need a good man like John Delaney in charge. I can personally vouch for Niall Quinn. A very decent and honest man. Quite apart from Mr. Hickey, on whom I have commented on a different thread – it is heartening to see someone at least TRY to take on the likes of Clifford, who has angered and exasperated me for years. Many thanks indeed to the authors. On another note – I eagerly await the ‘Golden Age’ which will ensue when Mr. Delaney takes over the reigns from his corrupt mentor. It’s great to be alive in these wonderful days. John Delaney is the VP of the OCI so as Hickey is in jail he is already in charge…..
Word is that Delaney et al are going to try and spring Hickey from sing sing in Rio. Serious money sought for movie and merchandising rights on this. Who will be selling the tickets for it? This is getting more enjoyable by the minute..
Hauld yer whisht. Clifford’s piece was entirely tongue in cheek. Yeah. Sense the tone. I’m not sure admiration is the right word here. Indeed. While cherry picking quotes from the article, Mr Sheridan seems to have missed two of the more important paragraphs in Clifford’s piece. “While Mr Ross nurses his considerably bruised ego, there are nevertheless some serious questions that must be addressed in any inquiry. We know that the OCI awarded ticket allocation to a company called Pro10, yet this outfit apparently did not have the capacity to physically issue tickets to purchasers. Why then was the contract awarded to Pro10? Surely a basic requirement for any agency awarded the contract should have been capacity to distribute tickets. Thats a very good point. But the article primarily focuses on the apparent flaws of Ross; the final line of the article especially lands with a thud in light of recent events. Saying that, the Examiner/Clifford have written some great articles about the GSOC bugging, when another prominent paper was writing codswallop. I don’t read every article he writes, so perhaps i’m cherry picking myself, but, all things considered (including that Mary Boyle opinion piece*), I wouldn’t label him an ‘establisment journalist’ as of yet. That’s what I was thinking too. I thought Clifford was the opposite of an establishment shill journalist. He is still having a go at Shane Ross who has essentially done the right thing when others were saying he should be supporting Hickey without the facts having been established. The Fine Gowls & Dennis ” The Haiti (Disaster Capitalist Clinton) Menace ” Media party are openly toying with Ross and have been enjoying making him squirm now that he is forced to take part in their lame, self-serving, shamble of a faux government and pseudo democracy. If the head of the IOC can’t open his own mouth without a lawyer dictating his words to him there’s not much more you need to know. 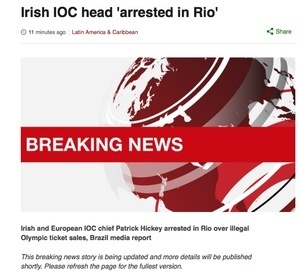 The dirty corrupt bunch of scumbags probably had an effect on the Irish team losing those decisions in boxing… Brazil wants Ireland out. He knows which side his bread is buttered on, Clifford. I disagree. I think he’s very principled and a good journalist and pundit. You totally misjudged the tone of Michael Clifford’s piece. His hyberbole highlighting how shamelessly these people can get away with this type of behaviour. 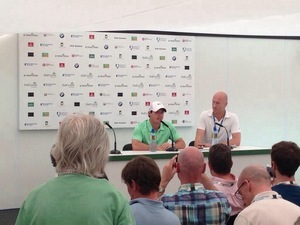 The media in general seem to really have it in for Ross. Love him or loathe him, and he can be a bit caustic or whatever, he has outted some pretty significant scandals in his time. Is it that he showed the journalists up for the sideline commentators they really are? Isn’t it time Ross showed that he’s not the sideline commentator he seems to be and actually does something as a Minister? Anyway – I have great time for Clifford. – this is absolute horsepoo. Clifford was all over Noonan over the foster home scandal before the election. He just has. He refused to back Hickey and demanded an independent person be part of the enquiry. He was heavily criticised for this on the Marian Finucane show at the weekend (hosted by Brendan O’Connor). 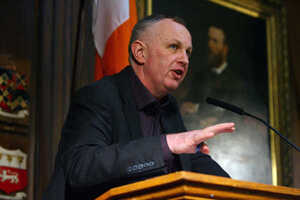 The panelists said he should have stood by Hickey even though the facts were not clear and Hickey was not cooperative. There are plenty of journalists you can fairly level this question at. Clifford ain’t one of them in fairness. The man detained in Rio, Kevin Mallon, is a director of THG Sport, the agency that previously had the contract from the OCI to distribute tickets but which it lost to Pro10 for these games. Was he sub-contracted by his rival Pro10 to distribute the tickets, and was this known to the OCI? Pro10 issued a statement last week outlining its version of how things had unfolded. “We explained that the tickets Mr Kevin Mallon, an employee of THG group, had in his possession were held on our behalf to be made available simply for collection by Irish and other European customers of Pro10 in Rio. Up to 1.000 tickets are understood to have been seized by Brazilian police following Mr Mallon’s arrest. If this is the case, then where are the shortchanged customers who bought tickets online yet never actually received them? Of course, you have to read the whole thing to get to it, which might be too time-consuming a task for intrepid, Citizen Journalists of the internet. I don’t see what people think Shane Ross has done wrong. Can anyone explain? From my perspective he wanted an independent person on the inquiry which was entirely appropriate. Pat Hickey opposed this and the minister did not back down. Hickey has now been arrested and the police claim to have evidence that he was involved in the incident. Ross was right not to back Hickey and right to demand a proper enquiry. 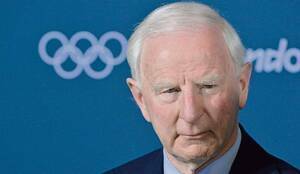 Did Pat Hickey destroy the country? Must have missed that. Another white collar crime apologist. Or has he been flogging Olympics tickets on the black market for the past 30 years? If so he’ll be able to afford a bloody good lawyer! Now we’ll have Irish journalists coming out and saying how they all knew about Pat Hickey for years but couldn’t/wouldn’t /didn’t say anything. Makes you wonder what the point of the fourth estate is in this country. It’s for lying to the public. All this shows the tragic need for an irony font. Clifford’s a good, straight journo, and a stringent researcher. His ironic tone got lost for those who skimmed. 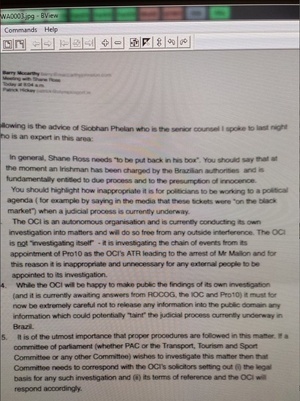 Hey, Anthony Sheridan of Public Inquiry: you should do a piece exposing that guy Borat. I’m almost certain he’s not really a journalist and I don’t think he’s even from Kazakhstan. Hmmm, somebody in Broadsheet doesn’t like me. Would be nice to know who in order to determine what their motive for this stuff might be. Two chances of that happening I suspect. @Mick Clifford, I’d carry the Broadsheet Hall Of Shame tag with pride if I were you. I wouldn’t be boo-hooing too much about the eejit who wrote the piece not liking you. Ah come on now. No one has time to be reading full articles anymore. Grab a few random quotes out of someone’s piece, put your own dopey conclusion at the bottom, and let your readers make up their minds on that. That’s how to internet journalism, stoopid. Don’t forget to bold type some stuff. That says more than real evidence ever could. Newsjustin, that Mick really should contact Cynthia Owen instead of sneering at Ross. But two chances of that happening I suspect. The defence to the nonsense article above is: “Ask Cynthia Owen”, “Ask Cynthia Owen”, “Cynthia Owen”, “Cynthia Owen”, “Cynthia Owen”, “Cynthia”, “Cynthia”, “Cynthia”, “Cynthia”, “Cynthia”. Sorry Skeptical, Mick could also ask Paul McGrath or half of Dalkey. The answer to this sh1t article is ‘someone that’s not us go and do a proper article’? What exactly is stopping you going and interviewing these people and publishing your resulting article? Rotide, we have spent the Summer interviewing and researching this story, This is why we found Mick’s interviews with Frank Mullen so disturbing. We will have a post very soon. And so you’re going after him in this instance by completely misinterpreting and misrepresenting his article? Yeah great work there Bodger. Living up to your name nicely. If this is your level of discourse, you’re already tarnishing whatever future post you’re referring to. Firstly, the article was not by Bodger. It was by a contributor. Secondly, and this is the key point, it does not distort or misrepresent Clifford’s article. Clifford’s article – while not condoning Hickey’s actions – was ruefully admiring of his ‘neck’ in the way that some Irish journalists used to be ruefully admiring of Charles Haughey. For anyone who believes corruption is a serious matter, and needs to be fought, articles like this, which make it seem like a joke, are worrying. I’m not suggesting Mick Clifford is himself corrupt. I read his articles regularly and he seems like a competent and honest journalist. But perhaps he has the occasional blind spot about certain aspects of Irish life? Really, whether any given reader agrees or disagrees with the piece above depends on two things, neither of which are necessarily pejorative. Firstly, do they find it funny? Whether they do or not probably depends on whether they – or a family member – have suffered as a result of corruption. That kind of thing tends to knock out your sense of humour a bit. Secondly, are they a journalist themselves? If so, they’re going to be up in arms at any online criticism of the mainstream media in any event. Just to correct you there babe. The article might not be by bodger but it is by a long time “staff” contributor, not a random submission. Unlike the ‘mainstream media’ that the soft headed like to deride, there is no real names available anywhere for this website. We have no idea who the staff are, or the editors (haha, as if) and even the name of the owner is censored. You can’t actually type it out or you go into moderation. It might well be one person posting all this stuff under different names. It’s probably 2 and they probably comment here under different names and a lot of people can probably guess who they are. If you think this doesn’t distort the article, you probably should stick to the buswells bar there. Looking for the chat, Rotide? Let’s not get distracted into who the article is by, whether I’m a babe or a bloke or where I go for my Friday pint, because really, that’s just ad hominem all over again and you must be so bored by that now, surely? My other point – that the piece is a fair and objective criticism of Clifford’s efforts to be funny about not really a very funny subject – still stands after your response. Anything to contribute on that? Can’t speak for Bodger, but I think it’s great that Frank Mullen chose to tell his story to you, Mick, as it promotes open discussion of a very disturbing rumour. Mullen was an extremely powerful man in the Ireland of the 70s-80s, not just in Dalkey, but, as head of the Garda Representative Association, in Ireland generally. Any allegation against him dating from that period needs to be fully and comprehensively discussed and – given the mainstream media’s reluctance to rely on the defence of fair and reasonable publication – wasn’t going to be until he chose to talk about it himself. Furthermore, I couldn’t, for instance, see the relevance of posting photos of Mullen with his wife, and her view that he was innocent, in circumstances where we’ve had a trawl of cases through the courts involving wives who stood by sexual abusers even in the face of all the evidence. Personally, I wasn’t fully convinced by Mullen’s denials that he had known Cynthia Owen. If you look at old newspaper stories on Mullen, he’s described as involved in everything and anything that goes on in Dalkey – he literally ran everything, and knew everyone. In fact one article describes him in one such article in jocular terms akin to your Hickey piece as great at putting the bite for money on people in terms of fundraising. His assertion that he didn’t know Cynthia Owen entirely conflicts with the level of his involvement in Dalkey life as detailed in these articles. For instance, in relation to the Howard fire, in addition to investigating the fire, he actually identified the body of Louise Howard who lived across the road from Cynthia as someone known to him already. So he was obviously familiar with the White’s Villas area. In fact if you go on you-tube, there’s a video of him and some others morris dancing round the corner from White’s Villas during a 1980s King of Dalkey festival. I think this should have been looked at more fully. Another big focus of Mullen’s defence is the unlikelihood of the allegations of ritual abuse. In fact a lot of people (and not just Jimmy Page) got up to very silly things in the 1970s with that sort of thing and there are newspaper stories from that period about evidence of such idiotic ceremonies on Dalkey Island and on Dalkey Hill. If nothing else, adding a bit of cloak and dagger to the mix would frighten children into not talking. I think you should at least have done some research into whether or not there were reports of satanic abuse in Dalkey during the relevant period before dismissing Cynthia Owen’s allegations on that basis. One further point occurs – Cynthia Owen’s story, insofar as it related to her maternity of the child discovered, has been confirmed by a jury verdict. That must surely be a reason to look into further allegations made by her fully and comprehensively. It’s important not to take anything at face value – but a search of the archives shows that Cynthia Owen’s story is backed up by contemporaneous reports in a way that Mullen’s isn’t. The discrepancy should at least have been put to him. Lots of people defending you here too. We can’t have everything now, can we? Watch out Mick, You’re going to have ‘Aaron McAllorum’ patrolling twitter for anything suspicious related to you from now on. Mick, why do you assume that any criticism of your articles is directed at you personally, rather than simply a disagreement with your analysis or approach. I can only remember one other occasion in which there was any criticism of you by Broadsheet, and that was in relation to your interview with retired Garda Frank Mullen regarding allegations made against him by Cynthia Owen. Bodger links to the piece below. I’ve followed the link and reread it, and it’s a detailed and very comprehensive criticism of your interview, with no personal attack on you whatsoever. If anything, it’s a compliment to you that someone took the trouble to critique your work so thoroughly. Criticism is not necessarily designed to ‘get at’ someone. Perhaps such detailed and painstaking analysis is an acknowledgment that your contribution to journalism is sufficiently weighty to merit discussion? Also, fair critical opinions based on facts (being a test which as far as I can see Broadsheet’s analysis of your work satisfies) is integral to a healthy journalistic community. PS your work first came to my notice through Broadsheet’s (very favourable) coverage of your articles of the Maurice McCabe case. Except that it’s not thorough at all. That’s the problem. It selectively picks out a few quotes from the early part of the article, which are relatively light-hearted, and complains that Clifford doesn’t deal with serious issues, while completely ignoring the substantial questions that Clifford actually puts forward in the article. It’s a very poor piece of writing or ‘critique’, but from a reading of other pieces on the website, it seems pretty much par for the course. Sorry, misread the context here. Thought it was about the piece on Pat Hickey, rather than the Mullan interview. Oops. That’s okay, Smiffy. Thanks for acknowledging the mistake. You had the temerity to question the Mary Boyle documentary. Broadsheet ain’t going to like that given the amount of copy GO’D gives them. I listened to and read what you said. Now, I am aware that you are a journalist, not a comedian. If you were a comedian I would then realise that this was a send up. As you are a journalist, and didn’t give an inkling that it was a send up, what I listened to/read is taken by me to be your true views. So, future articles, will you give us a clue as to whether they are to be taken as journalism, or comedy? Or, you could learn to read with nuance. Yesterday there was the piece about buying gold (which totally wasn’t a promo) and today this. Editorial review please???? Also, I can remember when Broadsheet was sometimes funny. Declan, they also posted that John Oliver piece about falling standards in journalism a week or so ago. Speaking of “falling standards in journalism”, where’s the geography teacher gone? It appears his wife told police that he had left for Ireland when they came knocking. So either he was lying to her or she was lying to the police. Or,… he has been replaced by an exact replica. Just when I thought this day couldn’t get any more entertaining, along comes this piece. Not only did whoever posted this completely misunderstand a standard piece of tongue in cheek journalism, all the usual doommongering suspects jumped right in on cue. Bodgers contribution of ‘Talk to Cynthia Owen’ is just dripping with ‘WHAT THEY WONT TELL YOU’ comedy as well. The piece definitely sneers at Ross regardless of what he thinks about Hickey. +1. This is extraordinarily petty stuff. We posted this unrelated crud because we don’t like what you did over there. Looking forward to the insightful ‘Leather Jacket Guy Reacts To Pat Hickey Video’ special. Heh. Always funny. It’s the new FLAPS! Just trying to see things from the neutral side. “The right hook” show is Denis “Uncle Creepy” O’Brien’s regressive Fianna Gael media propaganda tool. Very mild compared to the US media but serves the same purpose with the similar sinister intent. Anyone working on that show and many in that news channel are all regressive elitist morons of the highest caliber but thankfully like their fox news counterparts they are transparently dumb and only a small part of the web of corruption that keeps this country from being a more equal and progressive society. Tell him what he’s won folks..
– A fupping job as an apprentice entry level journalist. One or two decent articles from time to time does not a repectable journalist make. Broadsheet is literally the only reliable place in Ireland for unbiased news coverage and opinion. – Correction : Waterford Whispers and some other small internet pockets of wisdom are good too. You can agree or disagree but people need to wake up and educate themselves and each other then do something for the good of us all. Just a note, Broadsheet is not a news coverage website. -for being a troll… or just being petty and nitpicking over the symantics of a fairly pointeless issue. Good one though, I like trolls, trolling and the whole business of wasting people’s time with silly comments.. I wouldn’t give up the day job though, whatever that could be. GL, HF, Thank you and good night – much love. You can’t tell the difference between news media and blogs and I’m being a troll? Ahh… Once again, the wise sensei shows the ambitious student his first glimpse into the philosophical understanding needed to be gained to master the true meaning behind the ancient art of the pre-emtive reverse Trolololooo…..
You have much to learn my hungry young warrior….. but don’t lose your way on the path to enlightenment and be digouraged from true enlightenment. It is like the hand that points to the sky…. don’t look at the hand or you will miss all the heavenly glory. I left you another little treat to bite on in that last post… did you see it? Oh you want to bite on it… Don’t you…? I know you do but you might be more cautious this time in case I reel you in again? Jaypers, the thickos are out. All we need is a few ‘Wake up sheeple!’s and we’d be full bingo. If you disagree, you are of course, ‘trolling’. One thing I’ll say for Michael Clifford. When he writes his pieceshe puts his full name to them. I have never been questioned or charged with wasting police time or of giving false information while Mullen by his own admission is an official suspect in my case. It’s not that people liked or disliked the Mullen interview it was the fact that in such a serious case a chief suspect would be given the front page of a newspaper and a 30 min radio interview to discredit a victim whose daughter was murdered while giving hardly any time/space to the victim to defend herself and that Clifford would believe the ridiculous claims Mullen made that I just picked his name out rather than speak to the team investigating the case for clarity or taking on board if I was just rolling names out out of malice I would be prosecuted. There was no balance or fairness in the interview and Clifford with no real groundwork or homework done in that the article was totally based on Mullen’s word alone who by his own admission he is still a suspect. Good luck with the legal fees. Long way from Kate Fitzgerald. The Hickey and Mullen stories are pretty close to Kate Fitzgerald, actually. All involve cases of serious allegations against people in current or past positions of significant power, and the way in which the media has dealt with these allegations.It is in the public interest to discuss these matters. Regarding legal fees, I don’t see anything in Broadsheet’s coverage of Clifford going as far, in terms of malice, as your comments about Broadsheet above. Are you talking to yourself here? Funnily enough there were also threats of ‘good luck with the legal fees’ in the Kate Fitzgerald story. Sorry – this comment was supposed to be a general one, not a reply to Cynthia. Deepest apologies Cynthia. A lot of comments last night came pretty close to being defamatory, accusing Mick of all sorts. Broadsheet used the dog whistle and the dogs came running. Nobody screamed defamation when FF Mooneys piece was poo pood on in comments last week..
Kieran NYC no need to apoligise I knew it was a general comment! The fact that Clifford is one of the better journalists out there does not make him immune from scrutiny. In fact the better he is, the more weight his articles carry, and the more important that people be in a position to give their opinions on them. Also, being a journalist is not just about getting rave reviews. It’s also about getting criticism, and getting information which causes you to review and challenge what you have previously written, to consider the possibility that you may have missed something, or misjudged a particular tone in your writing. What differentiates the best journalists from the best of a bad lot journalists is that they constantly self-criticise and engage with the public regarding their writing. To be fair I should say that Clifford’s postings above are a form of engagement and the fact he cares about how his work is perceived is commendable – even if he does seem a bit petulant at being criticised by the contributor. If Broadsheet is a biased blog (often implied by regulars like rotide, NYC guy and so on) – then why is there influx of ‘established Ireland’ stampeding to publish/comment here and preferably on a regular basis, like what’s his name heavily blinkered xFF PR?. Why is Mick Clifford paying attention to what Broadsheet says – does Mick do same on other blogs? I used to like his articles, but in my opinion he is merging with corrupt Ireland, underplaying its lethal gravity with sarcasm and euphemisms. Just like them TDs on the Dail floor, sparring in questionable wit over grave matters. Hickey ain’t a poor man, he’s got steady olympic cash flow. So, why this petty ticketing scam? How much money is enough money for the likes of him? It sure looks like pathology. May be he needs psychiatric evaluation before legal proceedings. Ross isn’t a saint, but nobody is. But I’d give a legion of Hickeys for one Ross any day. It has to be said: the only reason why someone would be a persistent and ubiquitous commenter on a site they disapprove of constantly criticise (in terms far stronger than any criticism Michael Clifford has ever been subjected to, here or elsewhere) is if they are seeking to undermine that site for some reason or alternatively have some kind of mental disorder. I suppose Rotide could be a Broadsheet false flag but I think they’re better than that, somehow. some kind of mental disorder. extreme greed is on addiction spectrum, sometimes referred to as ‘instability’. could also be reaction to protracted grief and emotional distress. not saying Hickey’s gone beyond the pale, but he is in the hospital now, isn’t he? Ye, I would go along with that, and also the factor of insecurity in a competitive enviroment that prevents people from seeing the wood from the trees. Many of these people can’t even comprehend the idea that they are doing anything wrong, much less getting caught and convicted. A lack of understanding, empathy and character with a backbone. Broadsheet needs rotide. He challenges people and ‘extracts’ interesting comments from them. It is a good thing. I mentioned him/her because he/she is consistent in playing devil’s advocate. And yes, now that you’ve suggested a false flag and his handle is an editor backwards – it’s probable, but do Broadsheet lads have time for that stuff? It would be a loss to commentary if rotide called it a day. It would. He puts his heart into it in fairness. He’s the only one intelligent enough to be a false flag but I think Broadsheet’s better than false flags somehow. +10000. I tune in for Rotide’s comments. Well? Did you get enough points for Ag-Science? No, unfortunately. Good luck with your Junior results next month. Remember after your inevitable tears upon opening them, they don’t really matter and your ma still thinks your cool. Nobody else does obviously but you’ll always have your ma. So calling out hivemind uncritical comment brigading warrants the full angry-Moyest treatment? I’ve often found myself agreeing with the sentiment in articles (e.g. Pat Hickey) while at the same time being tempted to be a devil’s advocate thanks to the comments. Possibly that’s what some of the people writing those comments are trying to tempt you to do. People shouting ‘wake up sheeple’ don’t tend to be very bright and all they’re doing is stroking their ego. Everyone wants to feel unique. Most people have skills and talent to give them that feeling. Others just delude themselves and come up with words like “hive mind” so they can just *tell* themselves they’re smarter than everyone. I think they’re afraid of the world that they exist relatively comfortably in being overturned. They’re afraid of the good guys being found to be bad, and the values they’ve lived by being held to be topsy-turvy. The problem is, if they don’t at least explore the possibility that that might be so, there’ll always be that nagging, underlying sense that things aren’t right that won’t go away. And maybe, if they’re unlucky enough to inadvertently annoy the men they admire, or threaten their safe berth, an even more tangible proof of this. No one should be immune from being criticised and judged. Presumably that’s why Broadsheet puts up with all the people on this site (NOT Rotide) who write the same criticism of every post? I wasn’t thinking of the ‘wake up sheeple’ contingent. I think you’ve got your definition of ‘critical’ a little off. Now, for this, am I a) a moron, b) a no-mark, c) a racist bigot? Give me a ‘Good lad’ at least. People like junior here do all seem to expect people to respect authority and will belittle anyone who questions it. There’s obviously some emotional reason for it and that one sounds plausible. They don’t want to consider the possibility that they’ve benefited from luck or ‘bad’ actions. Probably why they also like to believe poor people can only blame themselves for their situation. Whatever the reason is, it’ll come back to ego and image. Always does. I don’t think they regard the comments section is that important. (Although it never ceases to entertain me watching grown adults act like it is) Do you think all the multinational brands advertising on the journal still would be if the insanity on their comments section mattered? I’m not the one claiming Rotide’s whiny drivel is an example of ‘critical thinking’. I was hoping for ‘bitter shut-in’. Never mind. There’s always next time. Keep on devoting 80% of your working day to the cause. Less of your cheek. That 20% pays for your dole. I don’t think they regard the comments section is that important. These two things are linked. I’ll let you work out how. A. No one really cares whats actually written in the comments. No one really cares whats actually written in the comments. No thanks. I already know how it works. Thanks for adding weight to my posts about you today though. I forgot ‘states the obvious but pretends he’s an industry insider while doing so’ from my list. I would imagine Mick pays attention to whenever blogs misquote him. Must run that past the israelis and make sure they’re cool with it. If you’re into getting your information from the religious, that is. Welcome to the comments section of Broadsheet.ie… home of the absurd and sometimes beautiful use of the English language, filtered through the prism of internet commenting… anger, frustration, hope and C Class drugs. I like the jist of your jab..You have an admirable eloquence about you. …sparring in questionable wit over grave matters. Clifford: Another up-from-the-country loudmouth who thinks he can write and has something to say about the state of Irish society and politics.